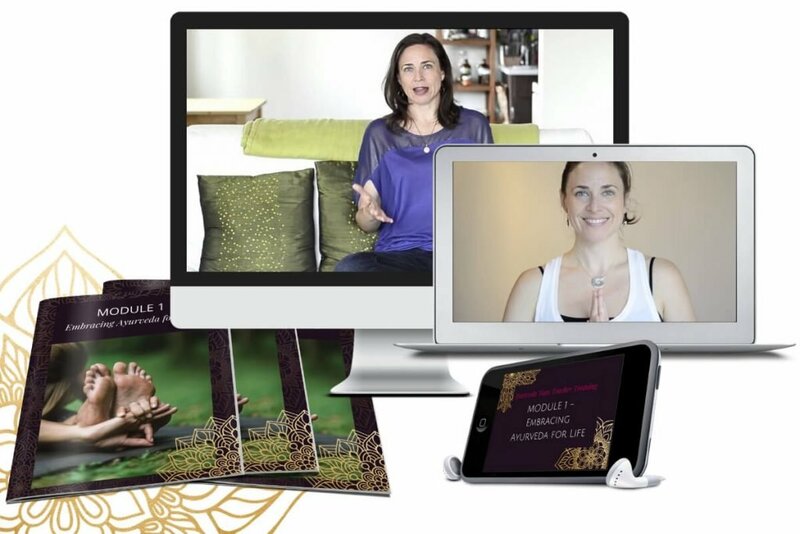 Ayurveda Teacher Training Online is coming this Spring! Take me to the early bird registration! Honors the integration of Ayurveda into your yoga teaching and practice, not as an after thought but as the backbone and guiding philosophy. Provides 100 hours of online training for deep transformation and long term support. The pattern was within myself. I would feel inspired and then hit a plateau in my teaching and life and then begin to question what I was doing and why I was doing it. I often felt dismayed at the state of yoga today as it was so vastly contrary to the more traditional lineage I studied at the Bihar School of Yoga over a 10-year period. I stumbled upon Ayurveda when no doctors could help me overcome an illness that lasted 7+ years. Ayurveda taught me how to take care of myself with my particular constitution (dosha), align with my natural state and get my energy and life back. I spent a lot of time, energy and money seeking out my training and integrating it. I wish I had a mentor, someone who had gone before me and understood my hardships. This Ayurveda Yoga Training is consciously designed for you to learn Ayurveda in a digestible format that you can actually utilize and integrate into your own life and into your classes and private sessions with students. Yoga teachers are a dime a dozen these days. What makes you unique? What level of wisdom, understanding and presence do you bring to your classes? 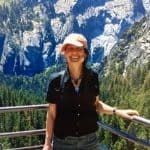 Whether you’ve been teaching for decades or are fresh out of your YTT, I will share with you the essence that I’ve gleaned from over 20 years of exploration and study of Ayurveda, yoga, Bio-Energy Healing, martial arts, Vision Quests, Vipassana, ashram living, dance, owning a yoga studio, Reiki, Akashic Records, travel and leading groups on retreats all over the world. 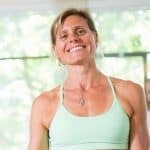 This training was born out of my love and dedication to both yoga and Ayurveda and the increasing need in the world of yoga for classes that consider the alchemy of the physical, mental, emotional, and energetics, to bring sustainable and deep healing through greater awareness, acceptance and love. What makes this training unique and special? Honestly, this training is about YOU. Sure, you’re going to learn all about Ayurveda and how to teach using these amazing principles but my real modus operandi is about raising the consciousness on the planet through inspiring self-love in teachers and leaders, one soul at a time. Self-mastery is my inspiration and this is what I teach. Don’t confuse this with perfection—absolutely not. In fact, self-mastery is the embodiment of all of our fragmented aspects of self. It is the homecoming, the union—remembering and living from a state of whole-ness. This is the wellspring of peace, love, and truth. There is no-thing wrong. Living in this state is a practice…until it isn’t, until it becomes you. You have a deep willingness to know yourself and evolve to be the best version of yourself that you can be. You have a love of life and yourself and wish to expand into more joy and fulfillment through Ayurveda and yoga. You are a 200-hour Certified Yoga Teacher or equivalent looking to increase the depth and scope of your teachings and offerings with advanced modules and study. You are a dedicated yogi that has been practicing for a minimum of 6 years and have a desire to learn more about Ayurveda & yourself (it’s not necessary to be a yoga teacher). Welcome to the life-changing world of Ayurvedic medicine. This module will offer a foundation for your own personal healing transformation of body-mind-heart that you will journey through during this program. You will establish a focussed intention for your health and life and delve into the theoretical and experiential aspects of working with the 5 elements of Ayurveda in your life. We will establish a sacred container for the power of your intention to be supported and amplified. You will understand why so many people get confused about understanding their Ayurvedic constitution and learn how to decipher the language of the doshas. In this module you will discover the intricacies and subtleties of the doshic trifecta and their imbalances. You will have an opportunity to understand your doshic constitution at conception as well as your current state and how to begin to bring balance and harmony to your body-mind-heart. 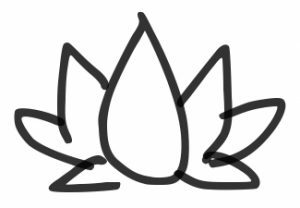 Once you get a grasp of the doshas you will be introduced to the fifteen subdoshas. This eye-opening knowledge will take you deeper in your understanding of Ayurveda than ever before. Taking time to prioritize your health is essential for living a vibrant and sustainable life. You will be introduced to Ayurveda’s incredibly potent self-care secrets that will transform your relationship to your body, self-image, and vitality. You will understand self-care according to the season, dosha, time of life, and personal imbalance. Learn how to bring these practices to your students for a holistic experience of healing; weaving in Ayurveda, yoga’s sister science into your yoga classes. The fascinating exploration of food and nutrition through the eyes of Ayurveda will revolutionize your perspective not only of what you eat but howyou eat. You will develop the skills to listen to the subtle communication from your digestive system and work to prevent dis-ease in your life. You will understand what foods you need that are unique to you—there is no one size fits all diet in Ayurveda! Is your yoga practice taking you towards or away from balance? What are you teaching and what effects are your classes having on your student’s health? Learn how to tailor your yoga practice or classes to be truly healing, nourishing, and supportive. Every asana, pranayama, mudra, and meditation practice has a particular effect on the doshas. Understand this and feel your practice deepen and transform. 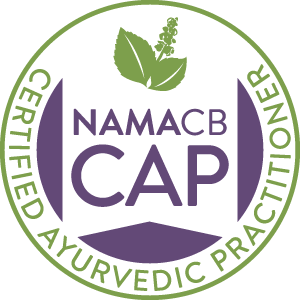 Receive the knowledge to create and offer classes rooted in Ayurvedic principles and philosophy. This is a game changer for teachers—your relationship to your teaching, how you teach, and your impact will be enhanced considerably. *A reminder: If you are not a certified Yoga Teacher, this program will not certify you. 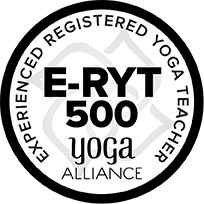 If you are already a certified Yoga Teacher you may apply the 100 hours from this program towards your advanced certification. Hold onto your seat as we’re about to take your awareness of Ayurveda to the next level. There is so much more to Ayurveda than most people know. You will get a taste of the complexity and layers of wisdom woven into this phenomenal art and science that is Ayurveda. This insight will transform your approach to teaching in subtle, deep, and powerful ways. Expand your knowledge and enhance your embodied expression of how you would like to direct your energy for greater health and happiness. Move beyond thephysical, into the realm of the etheric for a holistic interpretation of how imbalance manifests physically and how to return to optimal health. Become aware of the subconscious programs and limiting beliefs that are holding you back from fully being who you came here to be. Move beyond the habits and inner dialogue that leave you feeling less than, or in the energy of victimhood or self-sabotage. This module is the key to stepping into leadership as a yoga teacher and in your life. Learn how to translate all you have learned when working 1:1 with students to create personalized yoga programs. Even if you’re not a teacher this module will be eye-opening as you discover how I look at an individual to discern what practices they need to return to balance. You will also gain insight into the importance of regulating the nervous system to balance any dosha. You have been on quite the journey! By now you have made incredible shifts in your health and life and are living with great awareness of Ayurvedic principles and philosophy in your daily life. As are time together comes to a close, I will send you off with some business/ life skills to allow you to share your Ayurvedic wisdom with others if you choose to. We will have a final sacred closing ceremony to anchor in the teachings and set your new intention for moving forward. All will be recorded and you will receive replays. Melanie's training provided such depth and provided very tangible ways of applying Ayurvedic principles to the practice of yoga. I feel my own practice has become more skillful and balanced. My students have also reported finding benefits from small, simple seasonal changes that I have offered in my classes. Thank you, Melanie. This training has opened my eyes to the sister science of yoga. After teaching yoga for twelve years, I feel like I have finally found the missing piece that I have been searching for. This was more than a training for me, but a space to grow and heal. Her teaching is full of wisdom yet her ability to bring this ancient knowledge to layman’s terms was much appreciated. The continuing education I was looking for. I wanted to deepen my knowledge of Ayurveda with a group of like-minded teachers. While I know there will be shifts in my teaching, the bigger shifts are already happening in my self-care practice, my yoga practice, the awareness of what I want in my personal environment. Thank you for providing your knowledge and experience. By taking this training you will.. Deepen your own understanding and experience of Ayurveda for healing yourself and learning how to apply these same principles to your classes and for your students. Learn a systematic method of understanding, applying, and merging yoga & Ayurveda from an experienced E-RYT, Ayurvedic Practitioner, and Bio-Energy Healer. Have Melanie guide and mentor you to move into your highest potential as a teacher. Have a niche for yourself in the ever competitive and evolving world of yoga teaching and increase your income. Become a certified Madhuri Method teacher and have the ongoing support of the other Madhuri Method teachers and sangha community. Bring true healing to students by understanding the therapeutic aspects of yoga and how to bring balance, not imbalance, through yoga practices. This training has been an absolute gift! Such in depth insight into yoga from an Ayurvedic perspective. Melanie is passionate, deeply knowledgeable, caring and extremely inspirational. Thank you from my grateful heart for this experience. Madhuri’s training is so deep, her emodiment of Ayurveda so apparent. She teaches from a deep inner knowing of the science and of herself. 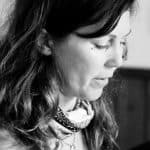 She not only teaches on the five elements, she draws upon your five senses; leading us through the most thoughtful and rich yoga classes, deep interactive conversations, and rad dance parties. We became not only acquainted with Ayurveda, but with ourselves. I am so grateful you and your training came into my life. I can’t thank you enough. I’m grateful for this experience! 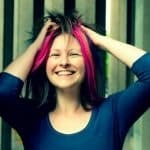 Melanie brings humour, her own depth of experience and a grounded understanding of the human psyche to the teaching of Ayurveda. With great compassion and human-ness she shares this ancient wisdom so that we as students might apply the lessons to our own life and in turn to the lives of our students. I’m grateful for this experience of getting to know myself better through the guidance of such a skilled teacher. I was able to take a good look at myself and start making changes. I got so much out of this workshop: a better understanding of how foods can affect us, a new meaning to why we do yoga postures, and ways that they can be a benefit to us, a new understanding to what yoga really is. I was able to take a good look at myself and start making changes. I was able to share openly which is something I don’t normally do. This was possible because of the space Melanie was able to provide for us. I feel very grateful to be part of this group. I’m so glad I decided to follow through with this opportunity to learn. The Madhuri Method Ayurvedic Training program is engaging, accessible and empowering. 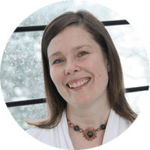 Melanie’s perspectives and materials allowed me to gain a clearer perspective of how I can live my daily life with more intention, gratitude and love. I’m so glad I decided to follow through with this opportunity to learn. A training that far exceeded my expectations! This journey I thought I was on to bring Ayurveda into my yoga teachings turned into deeper teachings for my own inner journey of living mindfully in every moment and being present in all I do and in my interactions with others. Learning to listen with an open heart, to find a state of peace and contentment while healing myself to be full, healthy and non-judgmental, but also not taking life too seriously. Such an amazing course that subtly and intricately builds on so much self-care and self-love to live WHOLEHEARTEDLY. Thank you for your authentic presence, courage and light! On my continuous journey of learning through the path of yoga, ayurveda sparked my interest and I chose Melanie Phillips and her course on ayurveda to be my next step in learning. Her guidance, example, straight forward and open approach to delivering the content really allowed me to embody the knowledge and wisdom and to go away with enthusiasm to practice and continue to learn more and at the same time have appreciation and acceptance for what I already know, for what I am already doing and for being open to what is next. 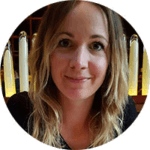 My ayurvedic studies have just started and I am excited to learn more and with the support and guidance from Melanie and her content, which she continues to evolve, perfect and develop on her journey and authentic dedication to the ayurvedic path. Thank you for your authentic presence, courage and light. I am thankful I chose to participate in a deepening course with you. As a yoga teacher why is it so necessary to understand Ayurveda and do this training? I truly feel that all yoga teachers must understand and integrate Ayurveda-it’s not optional; it’s essential to being a yoga teacher. The depth of awareness and sensitivity to your students will increase to a point where you know you are offering classes that heal and not harm. This is happening so much these days—students are getting injured or worn down by their yoga practice. As teachers, it is our responsibility to understand how certain asana and pranayama practices could create dis-ease for students. Do I have to be a yoga teacher to take this program? If you are a dedicated student of yoga and have been practicing for 5 years or more, you are welcome to take this program to deepen your knowledge of Ayurveda for you own healing, life, and yoga practice. You will not however receive a certificate of completion or be able to teach Ayurvedic yoga classes. What if I can’t make it to the “Live online classes”? It’s not a problem if you can’t make it to the live on-line classes. All classes will be recorded and you can access them at your convenience. If you have questions, you may submit them via email and they will be answered during the live class. What does the practicum entail? The practicum provides you with an opportunity, an invitation—to step out of your comfort zone, expand your wisdom base and share something more with your students then you had previously. For your practicum you are required to teach a 6-week series from the Madhuri Method Ayurveda Yoga Teacher Training curriculum. *Note that the practicum is NOT required. Some students choose not to do the practicum, and this is fine. However, to receive the certificate you will need to fulfill this requirement. What Can I Do with the Qualification? 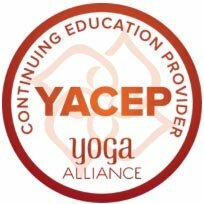 If you are already a certified yoga teacher, this course can be applied to 100-hours of Yoga Alliance Continuing Education Units (CEU’s). This Level One Madhuri Method Ayurveda Yoga Teacher Training, 100-hour program qualifies you for a certificate of completion. Upon completion of the course (in person and online portions) and practicum, you will be a certified Madhuri Method Ayurveda Yoga Teacher and can teach Ayurvedic Yoga classes and private one on one sessions with students. I’ve already learned a bit about Ayurveda, will this program still benefit me? You can take this course at your own pace and listen to the module videos and audios in your own time. However, it is recommended to stay up to date with the modules in order for the live classes to be more relevant. Over a 5 month period, you will receive access to 2 modules per month and have indefinite access to all of the course materials. There will be 2 live 2 hour classes per month with Melanie. So, if you choose to join the live classes, they will be 2 hours per month. Each module will have approximately 1-1.5 hours of video/audio materials to watch and listen to every 2 weeks. You will be encouraged to have a daily yoga, pranayama, and meditation practice throughout this program. I’m injured. Can I still take your training? Absolutely. This training is very therapeutic. It requires presence but it may be possible for you to participate even if you’re nursing an injury. Contact me directly to discuss the specifics of your injury and how it may impact your experience of the training. Yes! If you would prefer to make your investment with a payment plan, we’ve got you covered. Details HERE. Do you have a question that I haven’t answered here? Send me an email with the title Ayurvedic Yoga Training Question so I’ll be sure to get it and respond. BFA, E-RYT, Clinical Ayurvedic Specialist (CAS), Bio-Energy Healer & Trainer. Hi. I’ve been practicing yoga for 20 years and teaching yoga full-time for over 18 years. So far, I’ve owned a yoga studio; taught in teacher training programs, at Wanderlust, the Vancouver, Victoria, and Toronto Yoga Conferences as well as a guest speaker at NAMA (National Ayurvedic Medical Association), Bellyfit Conferences, and the Vancouver Yogathon. I have taught retreats, workshops and classes across North and Central America, Europe, India, Mexico, and in Bali. I was a head faculty member and assisted with the development of the curriculum for the Langara College Yoga Teacher Training program for seven years. I have a knack for inspiring students and mentoring them to become better teachers then they even thought possible. 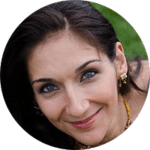 I merge my proficiency and experience as a teacher of teachers, a Clinical Ayurvedic Specialist (CAS), and certified Bio-Energy Healer and Theta Healer to allow you to be guided forward skillfully and gracefully with the wisdom of these art forms. What is the Madhuri Method? The Madhuri Method is on the cutting edge of Yoga Teacher Training and practice as it is a systematic formula for providing sustainable yoga practice that addresses and incorporates the ancient principles and philosophy of Ayurveda: the world’s oldest holistic healing system—the sister science to yoga. Gone are the days where we can avoid incorporating the wisdom of Ayurveda into our sadhana; the depth of understanding the individual student, their unique health concerns and psycho-emotional make-up, along with a seasonal approach that considers climate, time of day, time of year and how to bring balance for deep healing, energetic realignment, and spiritual empowerment is essential. Feel free to reach out if you have any more questions about if the Madhuri Method’s Ayurveda Yoga Teacher Training is right for you.